Bundaberg Technology Solutions is Bundaberg's only Apple Authorised Service Provider, and are here to help you with all of your iPhone issues, both in and out of warranty! Bundaberg Technology Solutions can service and repair your iPhone issues covered under warranty or AppleCare free of charge! And unlike the Apple Store, there is no need for an appointment – contact us today or come into store! When you have your iPhone repaired by us, you can rest easy knowing the work is being performed by an Apple Certified expert technician. Bring your iPhone to us by 3:00pm and we'll have it ready to pickup the same day*. See below for more details. As an Apple Authorised Service Provider, we always use genuine Apple parts in all of our repairs. Bundaberg Technology Solutions are an Apple Authorised Service Provider and can assist with iPhone issues and repairs in and out of warranty. ​iPhone issues that are covered by an Apple warranty are serviced for you free of charge. Please note that not all issues (such as issues with software, configuration or user damage) are covered by Apple’s warranty, and in such cases you may be charged a fee. For information on what is covered under Apple’s warranty, please see their warranty information, or contact us today. For devices outside of Apple warranty, we charge a $25.00 diagnostic fee to assess your device and quote you on any service or repair required. This fee goes towards any service or repairs that you approve and go ahead with. iPhone repairs such as displays, replacement batteries and cameras are generally performed in-store at Bundaberg Technology Solutions, and for these; we aim for same day repair (subject to demand and parts availability) if your device is dropped off before 3:00pm. Some major repairs (such as iPhones that don’t power on at all) may have to be sent to the Apple Repair Centre to ensure the highest possible repair quality. This process usually takes between 5-7 business days. Supply of loaner iPhone subject to availability, terms and conditions, and a successful application process. For more information on loaner device availability, please Contact Us. Have you damaged your iPhone screen? We can now repair your damaged screen and have your iPhone back to you the same day. We use genuine Apple parts to deliver Apple-certified repairs, which are backed by Apple, so you’ll get your iPhone back and working exactly the way it should. Bring your iPhone to us by 3:00pm (Mon-Fri) or 10:00am (Sat)*, and we’ll have it ready for pick up later that day. * Same-day service is available for iPhone 6s or newer, and depending on stock availability. No need to make an appointment – just come in and see us! Years of experience with everything Apple: iPhone, iPad, Mac & more! Need help with a specific iPhone issue? Contact us today to get help from our expert Apple Certified technicians! is my iphone issue covered by warranty? In Australia, iPhone comes with an Apple One (1) Year Limited Warranty. In addition to this, you may be entitled to other coverage options or remedies under the Australian Consumer Law. To check the current warranty status of your iPhone, click here to access Apple’s coverage check tool. iPhone issues that are covered by an Apple warranty are serviced for you free of charge. Please note that not all issues (such as issues with software, configuration or user damage) are covered underneath Apple’s warranty, and in such cases, you may be charged a fee. For information on what is covered under Apple’s warranty, please see Apple’s warranty information, or contact us now. Can you repair my cracked iphone display? Yes! Bundaberg Technology Solutions offers same-day iPhone screen repair for devices checked in with us before 3:00pm (Mon-Fri) and 10:00am (Sat)*. We use genuine Apple parts to deliver Apple-certified repairs, which are backed by Apple, so you’ll get your iPhone back and working exactly the way it should. * Same-day service is available for iPhone 6s or newer models, depending on parts availability. How much will I be charged for looking at my iphone? 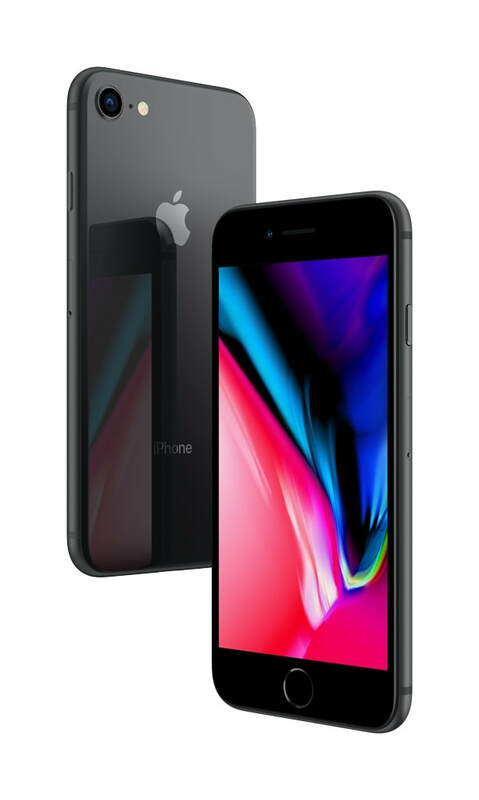 iPhone issues covered by an Apple Warranty, AppleCare+ (excluding accidental damage) and Australian consumer law will be serviced for you free of charge. In the event that your issue is not covered by a warranty, you will be charged a $25.00 fee for our expert technicians to diagnose and assess your iPhone. This fee is absorbed into any work you choose to approve after we have provided you with a quote and service report. What should I do before bringing my iphone for repair? Make sure you have taken note and can supply any passwords or passcodes for services you are having issues with. We don't always need your passwords, however if your issue is specific to a service (sending or receiving email, logging into Facebook), then we may require then. Can I get a loan phone WHILE mine iS serviced? In most cases, yes. Bundaberg Technology Solutions understands that in the modern age, it’s very hard to be without your phone! For service or repairs that take longer than a business day, we can often provide a loan phone for the time that we have your device. Please note that supply of loaner iPhone subject to availability, terms and conditions, and a successful application process. For more information on loaner device availability, please contact us. Bundaberg Technology Solutions can help with your Apple accessories too! Issues with your AirPods, Lightning Cable, USB charger or other accessory? Contact us today! We can also provide Authorised Service for Beats, Apple TV, HomePod & Apple Watch. We carry a range of Apple and third party accessories, cables and cases to help you protect and get the most out of your iPhone and other Apple devices. Damaged or cracked your iPhone display? Bundaberg Technology Solutions can help, and offers same day iPhone repair for iPhone 6s and newer. Bundaberg Technology Solutions offers same-day iPhone screen repair for iPhone 6s and later. These phones are repaired onsite in our specialised Apple repair centre, and can be repaired same day if dropped off before 3:00pm (Monday-Friday) or 10:00am Saturday. For older iPhone devices (5, 5S, SE, 6, 6 Plus) the display replacement process is a mail-in to Apple’s Repair Centre and can take 5-7 business days. If you require a loan phone in the mean time we can assist with this, however this does depend on our current stock of loaner phones. For more information on loaner phone availability, please contact us. Note: Prices listed are for replacement of your iPhone display, which may or may not be possible depending on the level of damage to your iPhone. For a quote on repairing your iPhone, contact us for more information. Pricing is current as of 17th September 2018, and is subject to change. E&OE.